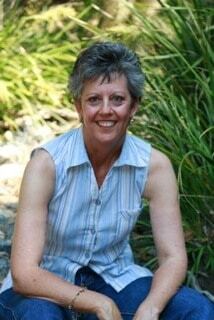 I have another wonderful lady answering my blog questions today, Jenn J McLeod! I met Jenn through the RWA Conferences and so it’s been amazing to see her grow and succeed with her novels. 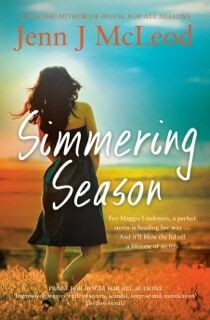 (In April her second book Simmering Season was released.) Now lets find out a bit more about Jenn…. Dog Dog Dog Dog Dog. But only if I am MY dog. No surprise that my novels have lots of dogs in them. Hmm, hmm, hmm, hmmmmm, dah, dah, dah. Oh, sorry, Fee, what was the question? Nothing. I love every aspect about the writing process. If you didn’t love this biz – all its fussiness and facets – you wouldn’t be a writer. I like to think I am spontaneous, but I need to work out how to answer that question. I am selling up to down size and joining the grey nomads. I figured I write about small towns so I might as well get out there and experience some. The Holiday. 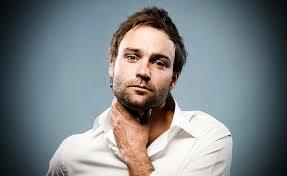 Jude Law drunk. Say no more. 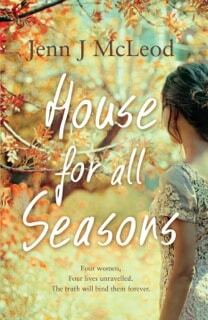 In a rather gorgeous blog by Rowena Holloway (readers of House for all Seasons might enjoy this take) my characters are described as “wry-humoured inhabitants” and chapter three of Simmering Season is perhaps a good example of that. Chapter three also sets the scene for the trouble to come as the town of Calingarry Crossing prepares for a school reunion. You can read Chapter 3 here. You can read chapter three, watch the trailer and listen to the song here. BUT … **SPOILER ALERT** if you haven’t yet read Simmering Season. What question do you get asked a lot? Because both my books are set in the fictional town of Calingarry Crossing, I am often asked if the books should be read in order. I think Monique of Write Note Reviews answers that best. CLICK HERE to: Read a chapter, watch the book trailer, hear the song, read the reviews. Come home to the country – to small towns keeping BIG secrets. A devoted mother, sole breadwinner, and now local publican, Maggie Lindeman is back in Calingarry Crossing with her teenage son to sell the family pub, hoping to turn their lives and finances around. The trouble is, the girl people once called Magpie is so busy protecting everyone else she has no idea the perfect storm is heading her way, until her past and present converge with the unexpected to blow the lid off a lifetime of secrets.